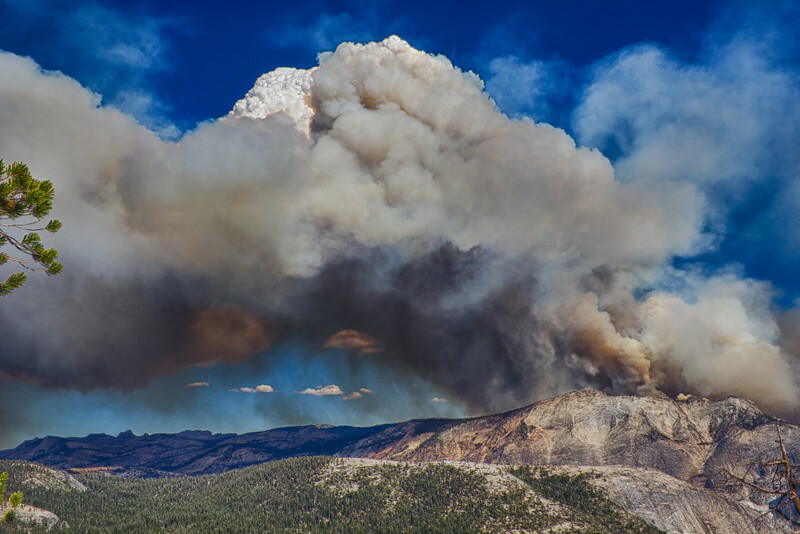 The "Meadow Fire" was burning hot in the valley behind Clouds Rest...hikers and backpackers were forced to flee to Half Dome, where they were helicoptered to safety. Thankfully, nobody was injured. Notice that white cloud just above the smoke? It's called a Pyrocumulus cloud...they're associated with forest fires and volcanic eruptions, and created by rising columns of hot air and moisture.